Michael L. Ray is the first John G. McCoy-Banc One Corporation Professor of Creativity and Innovation and of Marketing (Emeritus) at Stanford University’s Graduate School of Business. A social psychologist with extensive experience in marketing communication and in developing generative work environments for companies and individuals, he has produced over one hundred publications including ten books, among them two of the first books in the field of consumer information processing and two that helped establish and develop inquiry into new paradigm business. His latest book, The Highest Goal, gets to the heart of what he has learned in teaching his Stanford University creativity course. His best-selling Creativity in Business (with Rochelle Myers) was named, one of the nine “Greatest Business Books Ever Written” by Inc. magazine. The Path of the Everyday Hero (with Lorna Catford) garnered the title of the best business self-help book of the year, and The Creative Spirit (with Daniel Goleman and Paul Kaufman) was the companion book to the PBS series of the same name, inspired by his course, Personal Creativity in Business. Called “The Most Creative Man in Silicon Valley” by Fast Company magazine, Michael is at work on Conversations on the Basics in collaboration with teachers of his creativity course. He lectures and consults to organizations and groups worldwide and has served as a director of a major retailer, a food company, a catalog company, a start-up airline, a national cable systems company, an advertising agency, and four non-profit organizations. 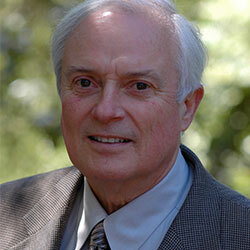 To read more about Dr. Ray, visit his personal site.